Extra! Extra! Read all about it! IGTV is here and it’s the perfect Instagram expansion for REALTORS®. Instagram’s newest video app launched last night. It’s called IGTV, it can host super long videos, and it’s pretty much ideal for modern real estate agents! Find our more and download it below. Hour long videos on Instagram?? Yes, please! It’s not cluttered or crowded yet! If you join IGTV today, you will be considered a video marketing influencer by lunchtime tomorrow. Instagram TV is brand-spankin’ new, and there are very few people and brands on there – be an early adopter! IGTV is it’s own app! You can’t add videos to your IGTV channel through the regular Instagram App. Download the IGTV app in the Apple Store or Google Play Store. One hour Maximum length! Videos uploaded to your IGTV Channel need to be at least 15 seconds long, but can be as long as one hour each! Quite the upgrade over the current 60 second maximum. You can only post Vertical! IGTV Channels are meant to compete with YouTube Channels but in a mobile-friendly way. That’s why IGTV exclusively shows vertical videos, making them completely unique in this arena. Separate from Posts & Stories! 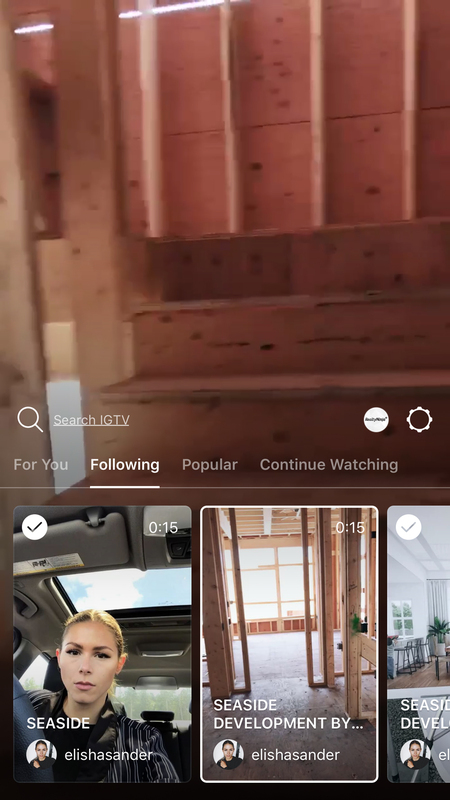 Your new Real Estate IGTV Channel (which you’re going to create right after you’re done reading this) is different from your Instagram feed and your stories. IGTV is yet another area to gain (more) exposure on your videos! Show off your IGTV Channel on your Profile! You know how you can highlight your Instagram stories in little circles on your Instagram profile? You can showcase your IGTV Channel the same way! Now visitors of your profile can easily swap over to your IGTV Channel to watch your longer videos. Huzzah! Modern REALTOR® Elisha Sander is already on IGTV... but we're not surprised. Why Should REALTORS® Care About IGTV? When I found out about IGTV last night, I immediately thought about my wonderful Dojo readers… YES YOU! Reason 1.) You need more than 60 seconds to show off a condo, a house, etc. Now you won’t need to film multiple videos in a row to share to Instagram – 1 video can be up to an hour long. Reason 2.) It’s a platform built for hosting video that was captured by a mobile device. Most REALTORS® are recording video content using their smartphone these days, which means you’re a great fit for IGTV. It also means you don’t need to worry about your video being of high production value. IGTV Videos are meant to be filmed and uploaded from your phone in portrait mode – think of it as the bespoke version of YouTube. Reason 3.) Most of you are already producing lots of video content for your properties and brand. 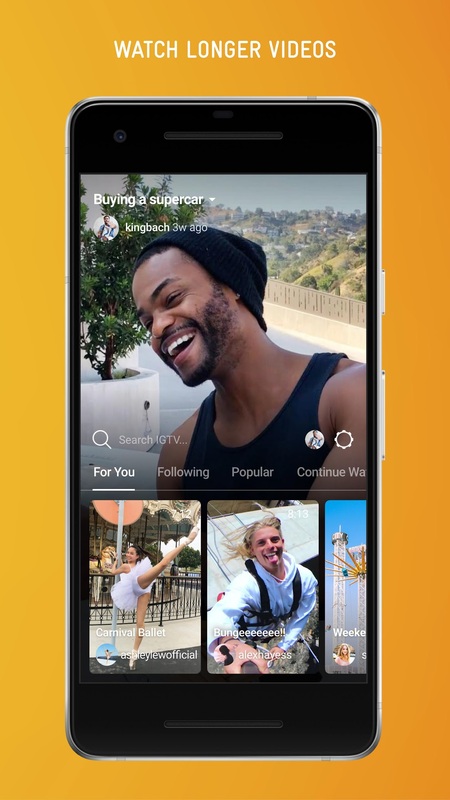 IGTV gives you access to a whole other channel with millions of users to share it on… and adding your video is QUICK! Those are just the first three thoughts that came to my mind. What I really can’t wait for, is to start spotting RealtyNinja customers using IGTV creatively for their own brand. So……….. . . . . . .
——–>>> WHAT ARE YOU WAITING FOR? If you haven’t already done so while reading this article, the time has come… go download the IGTV app from the app store on your phone, sign in with your Instagram account, create your channel and start posting videos to your all new IGTV Channel. If you have any questions about IGTV or want to add your IGTV Channel to your RealtyNinja website, please don’t hesitate to reach out to our support team via email (support -at- realtyninja.com) or phones/live chat. We can’t wait to hear what you think about IGTV. Look out for @RealtyNinja‘s IGTV Channel and follow us for more tips and modern marketing intel.